I’m so happy I live in a world with Octobers! Fall is officially here and I couldn’t be happier. The fall season to me means crisp cool air, piles of leaves to jump in, the colors orange and mustard yellow, pumpkins, and Halloween. My family and I like to cook a big pot of chili (recipe here), watch our favorite Halloween movie Hocus Pocus, and paint pumpkins. 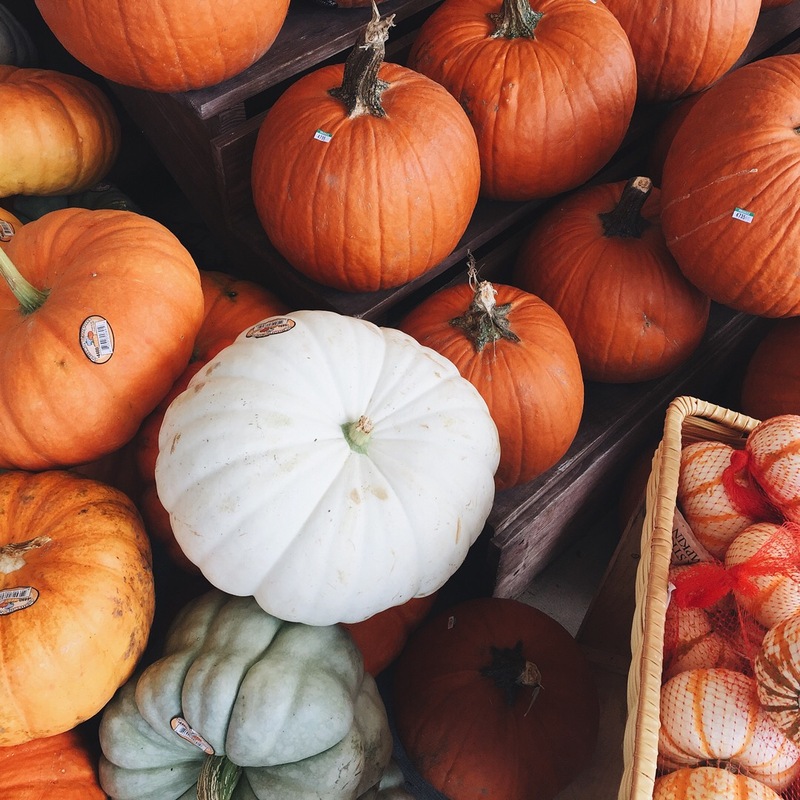 Any Fall traditions of your own? Although there’s something magical in the stillness of an October morning – the peacefulness, the sleepiness. It’s a great time to jot (or doodle) some thoughts in a journal. So wrap yourself up in a robe, pour yourself a cup of joe, and get cozy. Each month I try to have a variety of prompts – some can be list starters, or memory retrievers. Some are funny while others are thought-provoking and dig deeper. No matter the type of prompt, they all have one thing in common, YOU. I’d love to hear what prompts you like [and dislike], what would you like to see more of? I want these prompts to be something you look forward to each month. Please leave me your thoughts in the comments below or shoot me a message. I’d love to get your insight. 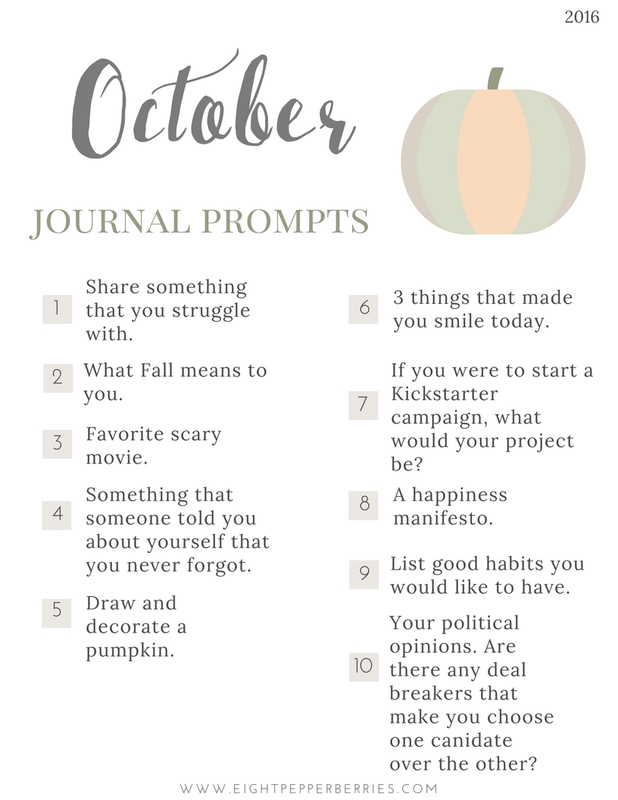 Sit back, relax – October journal prompts are here to guide you in your journal writing process. New to journaling? Find a jumpstart guide here.